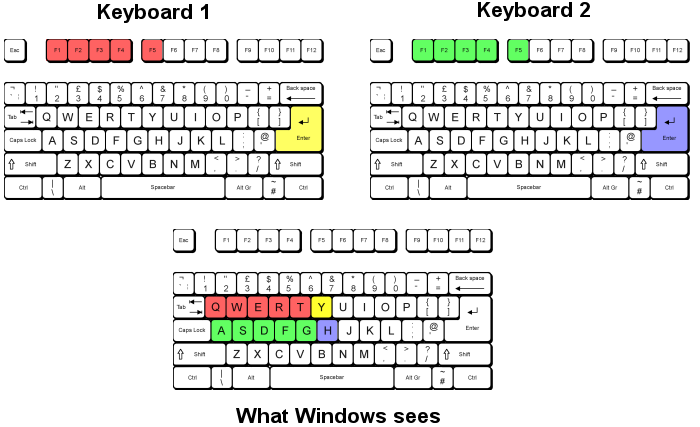 This software can distinguish two keyboards (even from the same vendor) and is able to remap any keypresses on Return or F1-F5 to a letter-key, as seen in the graphic below. Now both players can play against each other utilizing the same keys to play. v1.1 lets you freely configure up to 32 keys. Plus minor bugfixes.